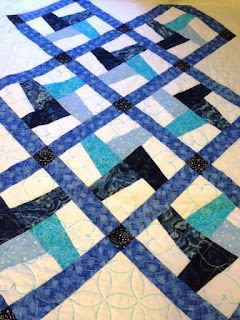 This work in progress (WIP) is a blue version of the houndstooth quilt I recently did in multiple colors. A friend asked me to make one in blue. It is pieced and I am currently working on the quilting.